If you are looking for ideas to start a handbag business, you can go into manufacturing, or retailing. But before you get carried away by the excitement of the prospect of owning a business in line with fashion and designing, slow down and think like a businessman rather than an artist. Ask yourself this question: is there a demand for the product you will sell? Demand is important for the success of any business. You might be heading into a market that is oversaturated with handbag manufacturers and retailers. So before investing time and money into designing, getting samples made, as yourself whether there is a general demand for your product or whether there is a particular niche you can serve. Ask yourself what novel idea you can introduce into the industry. Is there a specific product you can sell, perhaps handmade items. To manufacture handbags you’d need to come up with designs of the articles you want to make and have them made. If you have knowledge about fashion designing either by taking a short course or a college degree or by working in a fashion house, you can make the design yourself. If not, you can hire someone with such knowledge. After you have the design, you can sew an actual product yourself (perhaps if you intend to produce handmade ones), have an entire manufacturing staff do it (mass manufacturing), or you can outsource the work to a bag manufacturer. Afterwards, you will face the task of marketing and distributing your line of products to stores and boutiques. If you simply want to put up a store selling handbags, your most major task is finding a wholesaler from which you can get supplies at prices you can sell for profit. Then you have to think about how to set up your shop. That depends on what kind of business you want to run. You’d need to fit your store to the kind of clientele you want to serve. If you will be selling high-end items, then you will set up a boutique-style shop in a posh area. Either way, consider the idea of getting an online presence. Ask a web developer to do the task for you. If aside from being a fashion designer, you are also a photographer, you can take pictures of the handbags, label them and post them on your site. Otherwise, ask or hire someone. Getting word about your business through the Internet is the best way to reach a wider market locally and abroad. Starting an online handbag store is simple in a way if you are passionate with what youâ€™re doing and you believe in your products. Here are some tips for entrepreneurs who are trying to venture in this business. 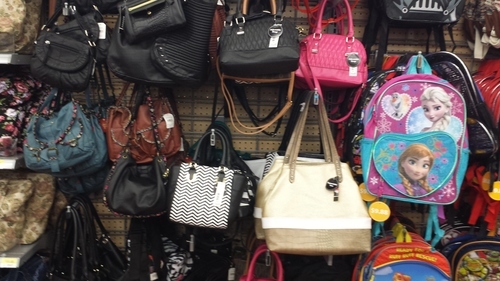 Are you planning to start a wholesaling handbags business? Here are important tips and tricks on how to engage in this business and earn easy success and boom in the industry many are successful to engage in. hi thank you for the above advice. I am interested to have a business in manufacturing laptop bags. But I don't know how I can text the demand for my idea of a laptop bag. Any idea how I can best do it? Should I get it manufactured first?? TY. Hey Tytus! where are you based? do you by any chance produce for people in South Africa. Hello Tytus, I too have a line of bags that I would like to have produced. How can I get more information about what you do? I have a design for a fabric handbag that I have made at home. I am looking for a company to buy my idea. Is there any such thing? I don't want to do the marketing after they are mad. Any info that you can give me would be appreciated. i'm launching a handbag label this month. and i have to say, it's been overwhelming. I have a degree in design and I figured I know the ends and outs of design....this should be right up my alley. Not at all. First I want to say, do your homework if you plan on having the bags manufactured overseas. Be prepare to get involved in the business end of things. Once I finished the designs, I had them manufactured in china. Thinking this would be a piece cake. Not at all. This is where it all begins. You have to be on top of things. You may have to send the samples back at least 3 to 4 times. This means shipping cost. After you get your samples ready for mass production. You need to finalized on other things like, hangtags, zipperpulls, inside interior lining, moles for your logo, charms and zipper pull. Countless hours online speaking with project managers who oversee the project at all hours of the night. Then you have to organized the photoshoot to have your backs shot. If you want a model, you have to look for one. Pick out a photographer, pick out a make up artist and style the entire shoot for your vision. Don't forget you need backing to do all of this. Once the shoot is done. You will need a web designer to prepare your website. Do your own line sheets, look books and ordering forms to show to potential buyers. I also started a spreadsheet with editors, buyers, industry contact information to send out press kit to. Email as much people as possible to get the word out. I'm definitely no expert, but being in this new phase of my life...i think it's only human to pass it along to someone who plans on pursuing this. I just wished I had someone who could have told me what to look forward to. I started my project last may and were launching next month. And I have to say, be prepared to have lots of mood swings. But remembered to see the big picture. It's exciting! I would like to get in touch with Shakila Brooks. I am also in Georgia and would like to have handbag samples made. thanks. Hello Everyone, I have a great idea to design laptop bags. I'm very creative but I'm not a good drawer. I really need help getting my idea onto paper. If anyone knows of a designer or if you are one yourself I would love to speak to you. My email address is englishqueen12@yahoo.com. And I'm located in Florida, USA! I look forward to hearing from you. Hello I'm trying to get in touch with Cindy. I would love to take a look at your handbag and get samples produced for you. You can contact me via email at shakilabrooksmodel@yahoo.com. Hope to hear from you soon. I am looking shop to sell my handmade bags. I can produce 20-50 bags in week. In addition to that I can make bags according to someone needs. I will appreciate you emails at dangolsujata@hotmail.com. Hi. I'm Kerrie from Canberra, Australia. I have several designs for bags and am keen to have some samples made. I'm interested in PVC and/or leather material. If anyone can help me find a manufacturer in Australia or China or Indonesia, I'd greatly appreciate contact details and reference information. Hello. Woman's wear designer, pattern and sample maker with over 20 years of experience. I'm just starting a new handbag line "Isabella Gratzi". I am interested in teaming up with someone that would like to see their designs brought to life. Maybe you love to design but don't make patterns or sew. Looking for something with an Italian flare. I'm in NY but you can be from anywhere (thanks to the internet!) You can email me at isabellagratzi@yahoo.com Thanks! Hi, I love fashion and would like to start a line. Have some design ideas but need pattern/ samples made. I'm in Connecticut and can be reached at married2style@gmail.com if you'd like to team up. I am a leather handbags and belts designer in Los Angeles. I am looking for local manufactures to produce small quantity products. Anyone has suggestions? HELLO PAMELA LIN I'M LOCATED IN GEORGIA. I DON'T KNOW IF THAT'S TOO FAR FOR YOU BUT I'M AVAILABLE TO HELP YOU IN ANY WAY THAT I CAN. YOU CAN EMAIL ME AT shakilabrooksmodel@yahoo.com AND WE CAN LATER PHONE TALK ABOUT WHAT YOU WANT. Could anyone give me advice of how I can get wholesale prices for brands such as Fiorelli, Charlotte Reid and Modalu. I want to set up a handbag store in South Africa. Thanks! Hello, I am a manufacturer of high quality handbags and customize ones with specification of our costumers. I am looking new costumers to work with me I have my own collection too. HEY FERNANDO I'M HERE IN GEORGIA AND WOULD LIKE TO TALK WITH YOU ABOUT A HANDBAG LINE FOR MYSELF. I PRODUCE HANDBAGS AND OTHER PRODUCTS FOR DESIGNERS BUT WANT MY OWN HANDBAG LINE. CAN YOU HELP ME WITH THAT. PLEASE EMAIL ME IF INTERESTED. Hi~I have experience owning an accessory business and running 4 separate handbag lines as well as jewelry and shoes. I am now teaching an online course to help emerging designers. @ Christine Syquia, i want to start my own handbag line and i need help getting started. Where do i go online for your course. Hi everybody, I'm Mandy Ho. As my hotmail was hacked by someone, can not be used for time being. Would you please use hungkee87@hotmail.com to contact again. Hi, I am located in Akron, Ohio. I have an idea for a handbag, but I cannot draw. I know what it looks like in my head, but, I need to get it on paper and I need samples. I also need to get it manufactured. If you can help me, please e-mail me at nkprice@att.net Thank You. Our company is a professional manufacturer and reliable wholesale supplier from China for the hottest fashion designer inspired handbags and purses. We have our design team. If someone need our help to design handbags or purses, pls feel free to contact at anna@everfashion.net.Thank you. HELLO I CAN BE REACHED AT shakilabrooksmodel@yahoo.com IF ANYONE IS INTERESTED IN HAVING SAMPLE HANDBAGS/TOTEBAGS MADE AND ALSO MASS PRODUCTION. @jag - I would like to get in touch with jag who posted a comment on launching their handbag line. courts_stevenson@hotmail.com I am very interested to see how you made your journey happen. i too, am in the process of opening my line of handbags up, have had a few glitches with manufacturers, and would appreciate some feedback as to where to look next. Any information on manufacturers would be much appreciated. Thanks. Jacksonville florida, Hi there, I am looking for sample and pattern maker in the US as well as small production manufacturers for my high end line of fabric and leather handbags. Hi, I am located in The Hague, The Netherlands. I have an idea for a handbag, but I cannot draw or design. I know what it looks like in my head, but, I need to get it on paper and I need samples. I also need to get it manufactured. If you can help me, please e-mail me at deivisfont@hotmail.com Thank You. Dallas, TX - Interested in having someone make some samples for me. Please let me know if you are interested. Thank you. Hello everybody, I am located in Battambang Province, Cambodia. Cambodia is a small country and poor country. So, that's why i have opened a small company that have supported from my Dad and Mom from United States. Now my work is doing with hand bags business. The products made by the poor ladies, widow that we collect them from the village. Now they are looking for job and they come to work with us. So, we need to find the market to sell our products. We have experiences with fabric hand bags and some leather hand bags and we also sell to United States. And now we looking for other market because here have a lot of poor ladies looking for job and they come to us for help. So please help us is the same help the poor ladies by helping us to sell all our products that make by hands. Everybody can help us by order and send us sample of products to address: Khmer Krafts Co., Ltd, #10, Group3, Wat Kor Village, Sangkat Wat Kor, Battambang City, Battambang Province, Cambodia. Or our email add: chhavankkrafts@yahoo.com. We wish we can get information from everybody. Thanks and regards. Hello everyone, I am interested in starting up a local handbag business. I know nothing about business but i know a lot of people that can help. Would you say I was crazy??? I myself am creative but i never went to school for design. I dont know where to start can anyone guide me in the right direction please??? Hi I am looking for a manufacturer of bags. I will design but will send my design to china or wherever. Please help where I should I start. Hi I am interested in starting a line of bags for my christian store. I want to have my own label. I am in the beginning stage, so I am looking for designers. I am in making contact with friends of mine in Thailand who made wholesale suits for us to see if there may be manufacturing opportunities in that area. Anything you guys can share with me to assist me or advise me would be greatly appreciated. I am looking to go into the business and is doing some online research. I have seen this website, don't know how good they are but check out www.manolucci.com they are based in New York and from their website will manufacture for you. Hope this helps those looking at manufacturing in the US. Hello, I'm a recent college grad looking to start a clutch handbag line I've already produced a few bags myself. However I would really like a few samples professionally made for me. If anyone is in the DMV (DC, MARYLAND or VIRGINIA) area please contact me cwidesign@gmail.com. Thank You! I have a business plan for a socially minded bag business that I am in need of a partner with bag experience for. contact me if interested. I want to start a small line of handbag , i'm looking for a small manufacturer in puerto rico or usa. I have the design and logo ! Hi my name is Veronica, My business partner and i currently are trying to launch our design company. We have most of our designs licensed and some are actually patented. We have a hard time finding someone that can manufacture high quality leather. We would need some that could interpret a detailed sketch and make it from start to finish until it is perfect. We are running low on funds so we need some one who can do it fairly inexpensive. On a side note we already have some buyers lined up that love our design but want to see a sample first. We are hoping to have a sample by the end of the year but the sooner the better. I would love a US based company if possibly to keep the shipping costs fairly low and also to hopefully get the ball moving a little faster. If anyone out there is up for the challenge to manufacture our design. Please please contact me as soon as possible. nelson_veroncia@msn.com Thanks! Hi all - Was wondering how to price handmade handbags... I've over and over the double/double scenario. Is this still true for pricing handbags? Or is the markup less than 50% for wholesale and retail price? Thanks for any advice. @Dana, who are your buyers? Markup will vary depending on your customers. @James can you explain that in more detail for me? what/how would make the markup differ? @Dana, In a supply chain system at least you have 2-3 tier of people. If you are the producer and you have the scope to reach the customers then you can have high markup price, you can also markdown on needed as you have higher range with you. If you have multiple tiers in between you and the customer then you will have to keep the markup low, here the benefit is you will sell in bulk. I hope this clears some of your doubts. Let me know if you need further assistance. @James as in the wholesale price (lower price and in bulk) and the retail price (higher price right to customer). is that what you mean? @Dana, yes. You got it right. You also need to see who are your buyers. If they are from western countries then you can adjust your price accordingly. @James but is the markup for wholesale double my costs and retail double my wholesale? Or is it less than double (30 - 40% markup)? @Dana, it totally depends. I will give you one example of shoes. The retail price of shoes averages $15-$20 and wholesale buying averages $4-8. Producer sells at $3-$6. The gas station sells drugs like 1 packet tylenol for $1, buying cost remains in 9-18 cents for those packets. Wholesaler buys it in 6-12 cents. It totally varies with product and place. @James, and this is why i struggle. I can't figure out how much to mark them up. @Dana, i have a trick if you buy it. Call your competitors and act as the buyer to know their markup price. Otherwise try to set a higher price and mark it low on needed. @James -oohhh that's juicy! not sure i could pull that off, but thanks for all the advice, sincerely. I have an ideas to start my own purse line. Can someone assist me with what steps I need to take first. I know it will be profitable on the market. I am looking for a company to manufacture my bag, designed by myself. The product is registered, but i require samples (prototypes) and if all goes well, manufacturers. Please advise. Thanks Aasha. aashasagoo@yahoo.com. I live in the UK. Hi, I am looking to start up a shoe and hand bag business here in the USA, but is looking for a company in China and Italy who can manufacture them for me. Pls help if you know any of such company to do business with me. I have been sewing bags for years and am now ready to pursue putting my bags on the market. Where do I go to get my designs licensed or registered? Should I even get I get it patented since copying seems to run rampant. Any help would be greatly appreciated. Hello, I designed and built an original handbag and I am looking for someone in the southeast USA to produce samples that have all the bells and whistles of my original bag, but professionally manufactured and finished. Your help is truly appreciated.